Okay, at least not based on the Wolverine you've seen in the previous X-Men movies at least. 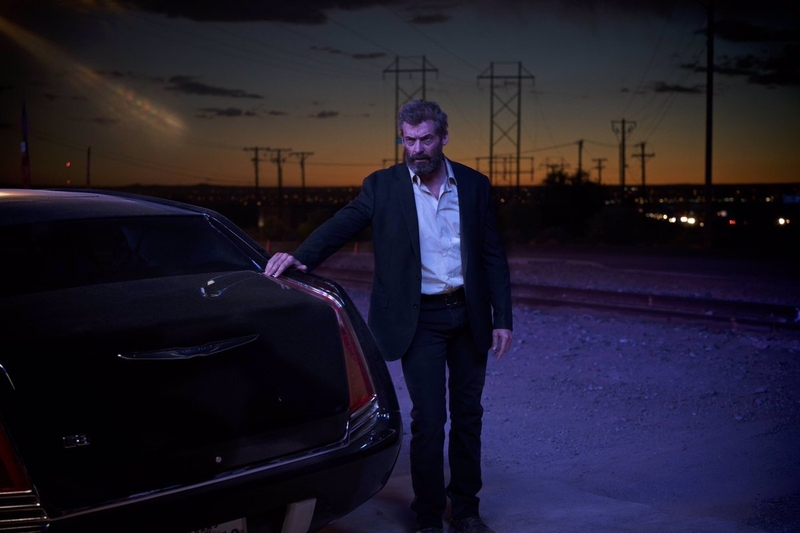 So, Logan, the last and final movie that Hugh Jackman will play Wolverine. This news has disappointed a lot of people and that's quite understandable. 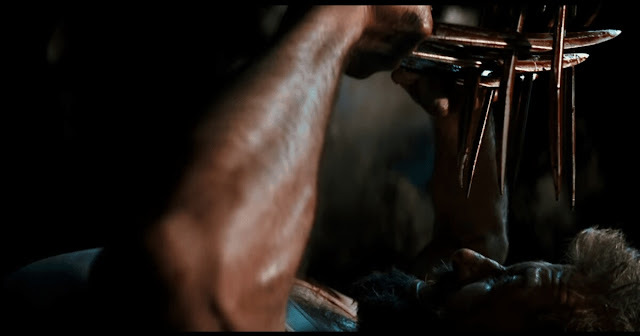 Jackman's Wolverine is one of those rare moments when an actor perfectly cast in a role. The first time anyone saw Mr. Jackman as Wolverine that was the moment the standard for Wolverine in a movie was set. Mr. Jackman is the only constant and the only good thing in every X-Men movie ever made. The only other good things are Patrick Stewart and Ian Mckellen, and maybe Halle Berry but they weren't in every X-Men movie. Wolverine has been in most of them if not all including the reboots that introduced us to the younger versions of the X-Men that we are familiar with. So since you already know that this is the last time you'll see Wolverine you probably also know that the story takes place sometime in the future and that Logan is an old man and that his only other companion is an even older Prof. Xavier. They are living in hiding, They are possibly the last of the X-men. The last mutants. Until one day when a little girl comes into their lives and they discover that she is very much like Logan. The story. Just so different that what we've been given from the X-Men franchise, even when compared to The Wolverine (2013) movie that was also directed by James Mangold. What was explored in that movie is taken even further and in a more personal and darker direction. 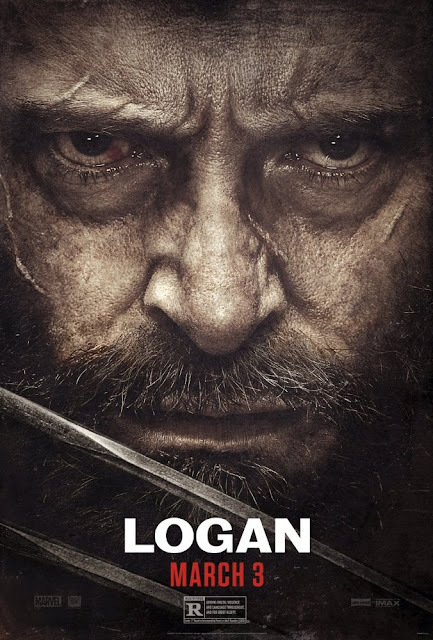 In this movie you really get to know who Logan is and what a lifetime of being a mutant and having to fight because of it has done to him. And you also get to see a different side of Prof. Xavier too. A more human side and a very frail side. And to give you an example of how different this movie is to every other X-Men movie is, the first words you hear Logan say is, F*ck. The cast. Totally amazing. We're so used to seeing and expecting Wolverine and Prof Xavier a certain way that seeing them the way they are in this one is somewhat jarring but a welcome one. 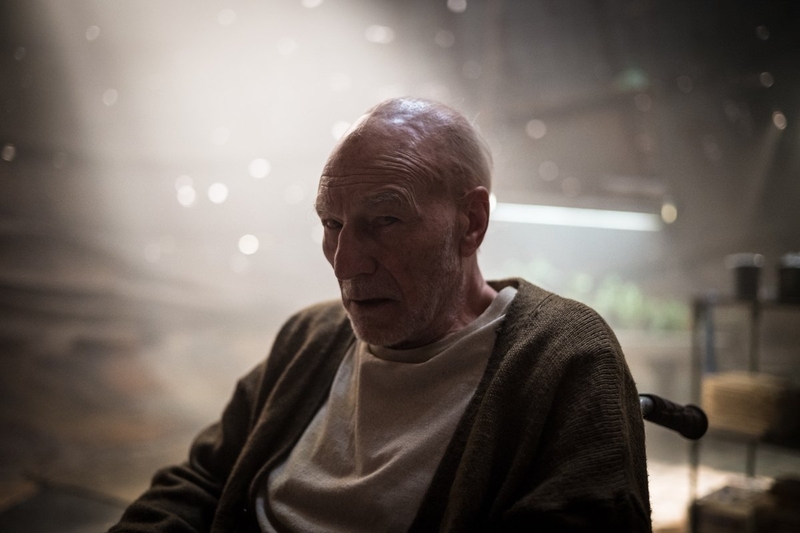 We finally get to see the human side, the real world side of them and how Hugh Jackman and Patrick Stewart show us who these characters are after a lifetime of fighting and finally losing is is just amazing. You will be moved. And Dafne Keen who plays Laura or X-23 is just as amazing. She doesn't say much but she says volumes. The visuals. It looks completely different not only from all the other X-Men movies but even when compared to The Wolverine. It looks like an indie drama. It's beautifully done. As is the action sequences. There's little special effects in this one but that's primarily because there aren't that many mutants with special abilities but you don't miss it. This was such an amazing film and so unlike all the other X-Men films, in fact when compared to other Marvel or even DC superhero films. It's the first time where you see a character especially a superhero character look so different from what you know them to be. A more human side. This movie is essentially a drama with a familiar X-Men in it. And it's good. I'm hoping that this is the beginning of a trend in a way. I'm giving Logan a solid 4.3 out of 5. 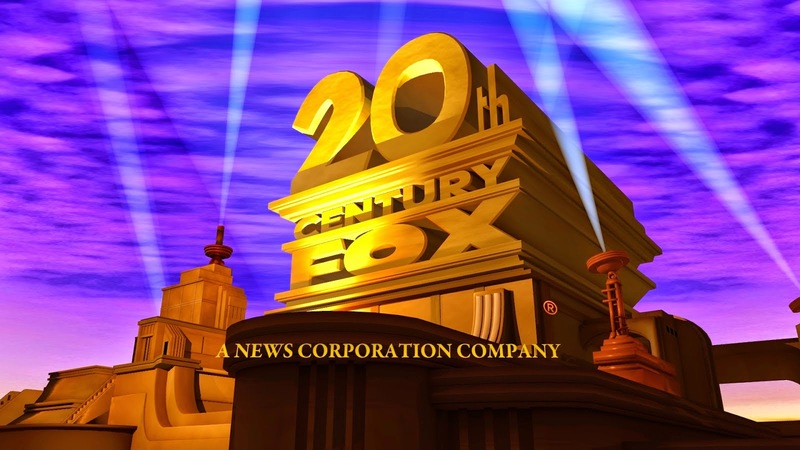 A GREAT BIG THANKS TO KLIPS.MY AND 20th CENTURY FOX MALAYSIA FOR THE PREVIEW PASSES! HACKSAW RIDGE is the extraordinary true story of Desmond Doss [Andrew Garfield] who, in Okinawa during the bloodiest battle of WWII, saved 75 men without firing or carrying a gun. He was the only American soldier in WWII to fight on the front lines without a weapon, as he believed that while the war was justified, killing was nevertheless wrong. As an army medic, he single-handedly evacuated the wounded from behind enemy lines, braved fire while tending to soldiers and was wounded by a grenade and hit by snipers. Doss was the first conscientious objector to ever earn the Congressional Medal of Honor. Critics Consensus: Hacksaw Ridge uses a real-life pacifist's legacy to lay the groundwork for a gripping wartime tribute to faith, valor, and the courage of remaining true to one's convictions. Here's another movie that's been out months and one that I also saw a while ago but like the LEGO Batman movie review I just posted up, I'm just getting round to putting a review about it. Again, you've probably already seen and heard everything about it and maybe even saw when it won 2 Oscars recently. The story. An amazing story. An although it isn't exactly the way it actually happened how it's laid out for you is beautiful. You get who Desmond Doss is. You get his motivations. And you admire his determination. Oh, and if you want to see how the movie and the real story differs you can either read about Desmond Doss on the wikipedia page about him or about the Battle of Okinawa which is where the movie takes place. You can also go to HistoryVsHollywood.com and read about how it compares according to them. The cast. All of them do a heck of a good job, especially Andrew Garfield. The only person that I just had a hard time believing was Vince Vaughn, just hard to believe his character as the drill sergeant. The action. When it gets going it is incredible, incredible visually. The realism, the gore and violence is unlike any other movie that I can remember but it doesn't take away from the core of the story. If anything it makes what Desmond has to go through and his determination to stick to his principles even more incredible. The visuals. As I mentioned before it is gory and violent and incredibly realistic. The camera work throughout all this is just brilliant. Overall, Hacksaw Ridge is one of those movies that will probably be talked about for awhile. It'll definitely rekindle interest in what happened during the pacific theatre of World War II and in who Desmond Doss is. I wrote in the title that Hacksaw Ridge is this decades Saving Private Ryan but there's a difference, Saving Private Ryan was partly based on a true story but in the real story there wasn't a band of men sent to save him, what happened instead was that the last surviving brother was informed that all of his brothers had been killed in the war and that the army was sending him home. 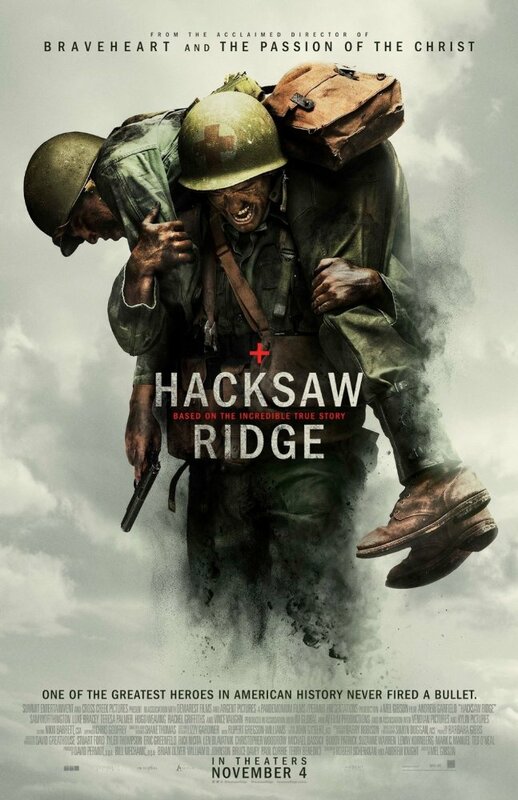 Hacksaw Ridge on the other hand aside from certain details omitted or changed to suit the telling of the story in film it's basically all there, or at least the key parts of it. Regardless of what cinematic and story-telling license the writers took to make it fit into the film medium it's still a very good story and an amazing one. I'm giving it a solid 4.5 out of 5. Here's a trailer for Hacksaw Ridge. 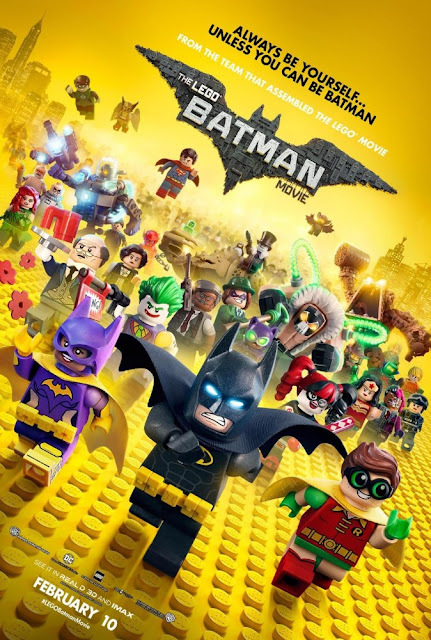 In the irreverent spirit of fun that made "The LEGO (R) Movie" a worldwide phenomenon, the self-described leading man of that ensemble - LEGO Batman - stars in his own big-screen adventure: "The LEGO (R) Batman Movie." But there are big changes brewing in Gotham, and if he wants to save the city from The Joker's hostile takeover, Batman may have to drop the lone vigilante thing, try to work with others and maybe, just maybe, learn to lighten up. I know this movie came out a long time ago and the truth is I saw it a long time ago too, saw it the week it opened actually but I'm only getting to blog about it now. By now you've probably already seen it, know what it's all about and also know that it went over really well, so now I'll share with you my two cents about it. The story, I like it. Struck a nice balance between what a LEGO movie should be and what a Batman movie should be. The animation. It's not bad. It doesn't seem as polished as the first LEGO movie but it isn't noticeable. The cast. On this one, Will Arnett really does steal the show but he's beautifully supported by the rest. The pace. Directed by Chris McKay who also worked on Robot Chicken it is relentless just like the TV show that he worked on. Loved all the cameos, easter eggs and references to other Batman movies, etc. All in all, I enjoyed it just like a lot of people out there. I'm giving it a solid 3.7 out of 5. Here's the final trailer just for fun.